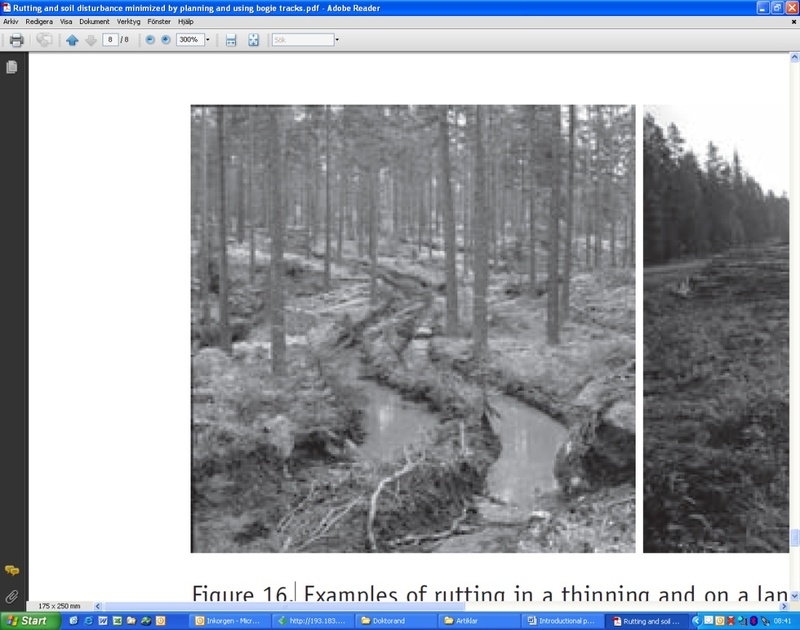 The overall aim of the studies underlying this thesis has been to acquire knowledge relating to potential methods of reducing both the amount and severity of ground damage caused by forest machinery used in the boreal forest. The work focused on technical solutions applied to the forwarders that had the potential to reduce ground damage such as rutting and soil compaction. Additionally, the work focused on detecting areas that had a weak bearing capacity, using terrain indices based on digital elevation models and pre-existing forestry register data. In paper I, it was shown that by combining forestry register data and terrain indices to find the Rammsonde pressure on till soil, 73% of the measurements correctly classified low or high bearing capacity ground. 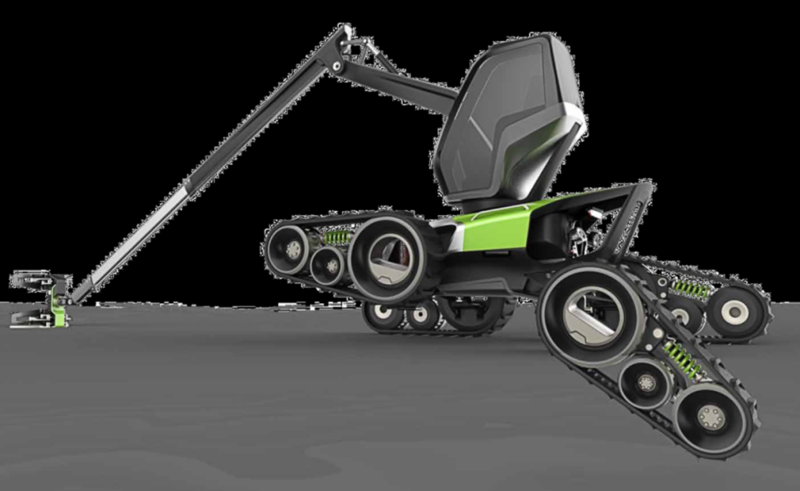 In paper II, a forwarder with individually steerable wheels was described that, compared to a conventional forwarder, formed shallower ruts when driving in a straight line on forest land and made narrower ruts when turning on both forested land and arable land. 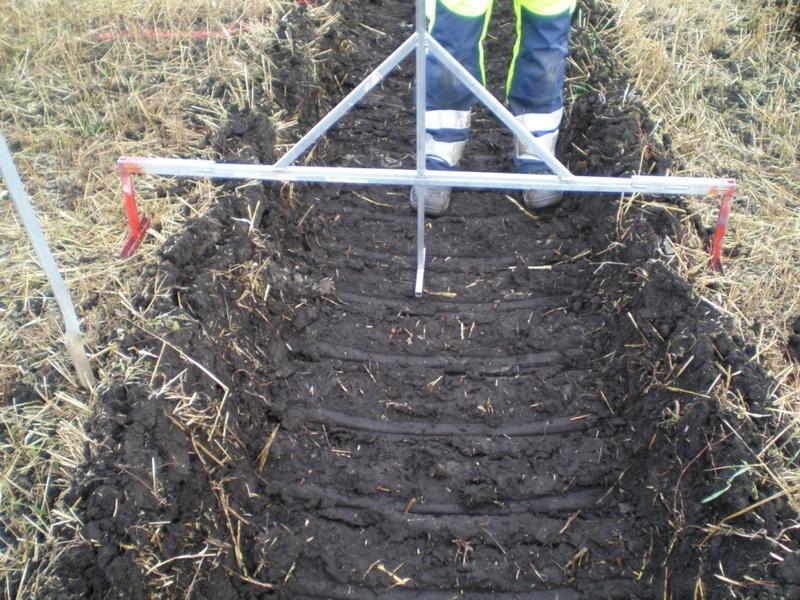 When driving in a straight line on soft soil with or without load, the ruts from the conventional forwarder were shallower. In paper III, simulations showed that the new Long Track Bogie (LTB), with a bearing capacity dependent contact area, negotiates low obstacles more smoothly than a conventional bogie and can handle wider ditches. The soil displacement from the LTB is also smaller when turning. In live tests on firm ground, the mean towing force for the LTB was 62% higher than for the conventional bogie and the rolling resistance was higher for the conventional bogie compared to the LTB (paper IV). 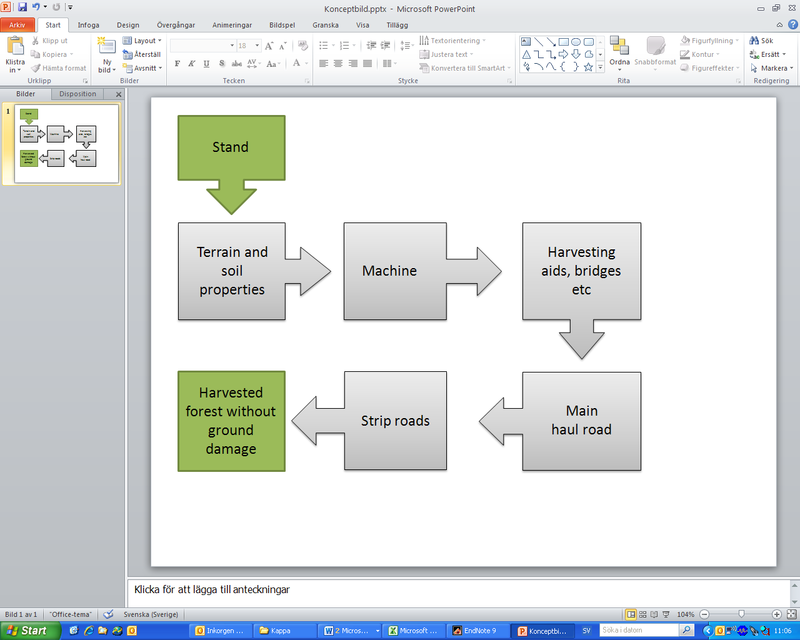 The results indicate that it is possible to reduce ground damage when harvesting by developing forest machines with steering and transmission drive systems that minimize damage on both soft and firm ground and by developing planning tools that predict the soil bearing capacity at the stand level. This might allow a classification of the ground without visiting the forest site and thus facilitate the choice of appropriate forest machines. I Edlund, J., Grabs, T. & Bergsten, U. 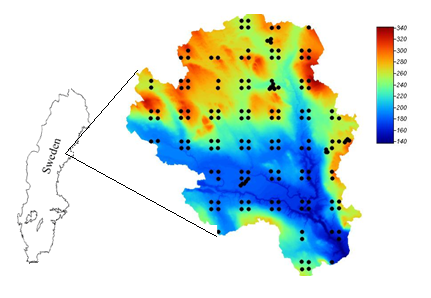 Can soft ground be predicted from terrain indices and forest registry data in a boreal landscape during early summer? Submitted manuscript. II Edlund, J., Bergsten, U. & Löfgren, B. (2012). Effects of two different forwarder steering and transmission drive systems on rut dimensions. Journal of Terramechanics, In Press. III Edlund, J., Keramati, E. & Servin, M. A long-tracked bogie design for forestry machines on soft and rough terrain. Submitted manuscript. IV Edlund, J., Bergsten, U. 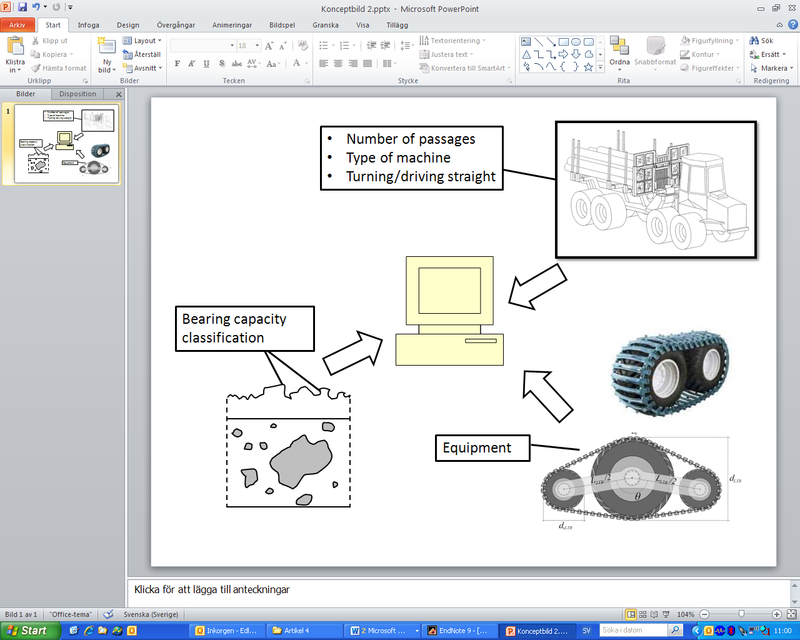 & Arvidsson, H. A forest machine bogie with a bearing capacity dependant contact area: effects on acceleration, angular orientation when passing an obstacle and on towing force. Manuscript.